If you did not get your copy of the August 2017 Newsletter, sign up NOW! Famous chef Thomas Keller is known for saying, “It’s all about sharing!” That’s a fantastic motto for food and it’s also very appropriate for wildlife. 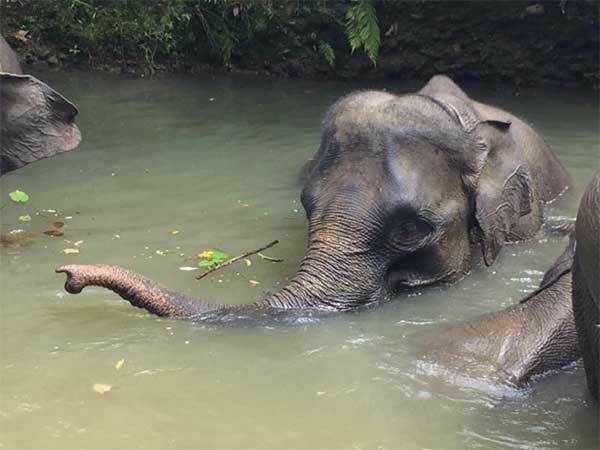 At IEF we’ve found that with sharing comes some of the most creative, effective, and touching ways to make a difference in the lives of elephants. This month we highlight the importance of sharing when it comes to building communities dedicated to conservation. Whether you are a researcher in a range country, an enthusiast in the suburbs, or a veterinarian in the field, share your knowledge, share your passion, share your love, and share your animals with the world. Every little bit of effort you exert helps effect change whether you see it or not. 9-year-old Theo Taylor is a little man with a mission. You might ask, how can someone who just finished year 4 (3rd Grade for those of us in the US) be on a mission? 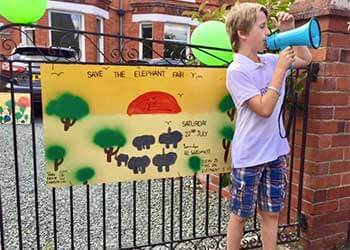 Yet, Theo has rallied his friends, family, and community all for elephants with his Save The Elephant Fair. Held in his family’s beautiful garden, over 120 guests enjoyed face painting, temporary tattoos, a bake sale, games, and more, with all of the proceeds going to support elephant conservation charities, including the International Elephant Foundation. Only his first time coordinating such an event, it was wildly successful raising approximately £1,600. August has been a busy month for IEF, bringing us back to Sumatra. Conservation Coordinator Sarah Conley went to Bengkulu and the Conservation Response Unit in Seblat. 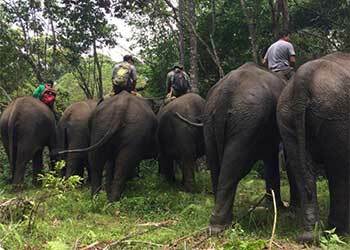 Going across the world to see elephants is an exciting experience, but far from easy. As wild places disappear, getting to them takes more and more effort. Once in Indonesia, a small plane ride into Bengkulu begins the journey, leading to a 5-hour ride through the lowland forests on unpaved roads past combinations of scenic vistas, scattered settlements, and mining concessions. From there it’s only a canoe ride across a river and a short hike up a mountain to get to the CRU camp. Incorporating community involvement is essential to creating a long-term investment in wildlife conservation. 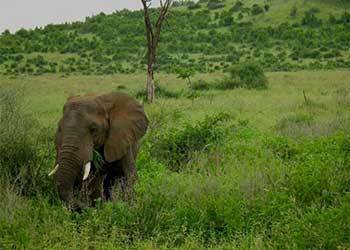 An IEF-supported project near Ruaha, Tanzania is doing just that.